But don't worry, I've been there too and i know how annoying & hard to untangle it is *especially if you love changing your hair color like mine you'll know the struggle between choosing a healthy hair or style. Thats why i write this post to share with you all product that i use to help me solve this tangled hair problems. Because i think this is necessary to share my way to solve one of my hair problems with all of you. So without furthermore lets get started! Claims to help you getting a volumizing and tangled free hair. Really works to untangle my hair after drying it without any pain in my scalp. This is my favorite leave in hair conditioner lol. It smells so good and Works fast to helps your tangled hair problem. You can use it everytime when you feel like your hair got tangled. *no need to wait to use it after shampooing ❤ Because you can use it everytime too. And use this L'Oreal hair liss unlimited shampoo to untangle my hair and it works so fast! Without any need to use more hair product like hair mask or conditioner. This is one of a must you need to use when your hair get through chemical process , i always keep one of my favorite hair mask products in bathroom to use after any chemical process tho. Let em sit for a min. 5 minutes to get through you hair for a better result. *i always use this one brand from rudy hadisuwarno for hair mask and i think i already Review it in the previous post. If you love your hair i think you need to always keep this product on your shelf. It helps your hair getting healthier, so the possibility your hair getting tangled will be low than before. *you can read my review for ellips hair vitamin here ! 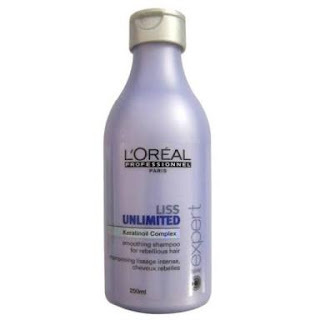 All that Hair products i mentioned uphere is my TOP 5 hair product That i always use to solve my tangled hair problems. And i very very recommended it for all of you to try it too. 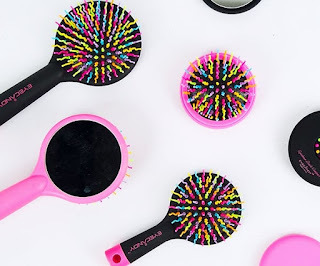 If you don't like waiting in your shower for a long time (because hair mask need a long time tho) you can spend your money on eyecandy hair brush or Rapunzel day&night leave in conditioner for a fast and better result. You can buy all this products i mentioned here for eyecandy rainbow brush or here for Rapunzel day& night leave-in conditioner! Using my charis celeb link discount for lower price.